On 26th October 2015, a powerful earth quake jolted Pakistan which resulted so far in the deaths of at least 230, with hundreds wounded and thousands of buildings collapsed. Hizb ut-Tahrir prays to Allah swt that He forgives the departed souls, grants patience to their relatives, heals the wounded and compensates the material losses of the people (Ameen). Indeed, no one can prevent these natural calamities from happening but Islam has ordered us to prepare ourselves before the advent of any such calamity. However, it is apparent that the current rulers do neither know their Shari obligations nor consider themselves as responsible to look after the people's affairs. Since the creation of Pakistan, traitors within the political and military leadership have never worked to provide adequate medical facilities, properly constructed houses and roads for access. Nor have they established any system which ensures the security of the people in emergencies. 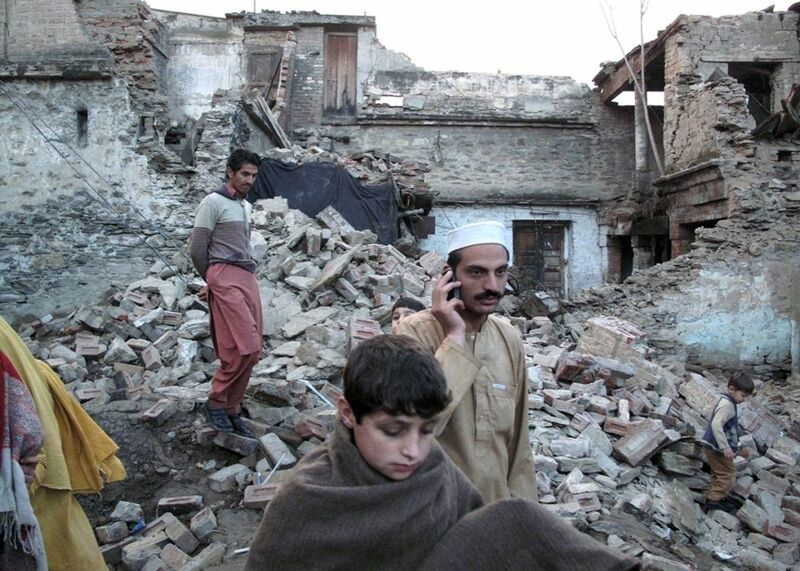 On 8th October 2005, Pakistan experienced its worst ever earthquake and at that time, it was clear that the state does not have any mechanism to face such calamities and their aftermath. After that earthquake, rulers took pride in announcing the establishment of a National Disaster Management Authority (NDMA) and claimed that now the state will be ready to face any such emergency in future. However, the recent earthquake showed there was no evidence of the NDMA’s presence and once again we saw rampant chaos and neglect. The people afflicted by this calamity are again saying that the state is not here to help them and people are being forced to help themselves. So we see that in order to fight the so-called war on terror not only was our army's manual, the “Green Book,” changed, all necessary resources were made available and a structure was established to practically realize America's interests. However, when it comes to the affairs of the people, rulers just announced the establishment of NDMA and did not care to provide it with the resources and planning to make it work. The Muslims of Pakistan must consider that whether they are ruled by democracy or dictatorship, their affairs are neglected because both civilian and military rulers do not consider themselves answerable to Allah (swt) and are only their to achieving their personal interests, whilst securing the interests of their colonialist masters. In the Khilafah, the ruler, Khaleefah, is bound to implement the rules of Islam and is accountable before both the Muslims and Allah (swt). The Muslims of Pakistan must join the struggle of Hizb ut-Tahrir for the establishment of Khilafah, in order to implement Allah’s Deen on Allah’s Earth, securing their affairs according to their right.